This is the weekly ownCloud community update for the week of May 19 to 25. These updates pull together activities from development mailing lists, blogs, coding work and everything else community members share with us. Tips are very much welcome! Ping Jos with your input. Biggest items last week were the merging of the sorting feature in the file view and the reorganization of the repo’s. You can read a report on week 20 here. Starting with coding, the usual code crunch took place – fixing bugs and adding features. A cool feature is that one can now sort files by clicking on the column header, and work on the sharing overview moved forward. There has been some reorganization of the repo’s, with more to come. It is now possible in master to sort the file list by clicking on the column headers. Progress on showing a proper preview on sharing links on Facebook. The sharing overview is almost done – review would be appreciated! A new feature in the works is the ability to update apps shipped as part of ownCloud itself. The User Conversations app, which allows chatting between users on an ownCloud instance, has a beta available. You can find it on ghithub. Simeon Ackermann, its developer, asks for feedback, so go and try it out! Plan was to also move the Search and Activity apps. The Search app has instead been purged and the Activity app still has many PRs open so it will be moved once these are merged. Note that stable branches still reside in the apps repository, the changes only effect master. 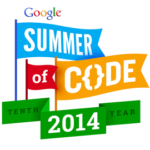 Volkan Gezer updated us on the progress on his GSOC program on the Music app. Berlin saw a meetup last week, with about a dozen people getting together to discuss ownCloudy things. There are other meetups! 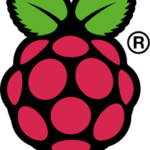 For those of you living in or close to Berlin or Münich, there will be a meetup every third Wednesday of the month. 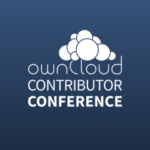 All ownCloud meetups will be gathered on owncloud.meetup.com. ownCloud meetups are to learn more about ownCloud or getting coding work done. If you know of other (regular or not) meetups or are interested in organizing one yourself, let us know so we can help you out!